In the next five years or so it is expect that Virtual Reality gambling wagers are set for massive rise of up to 800% according to a report recently released, and this huge percentage increase will be driven by the 'high rollers' using VR technology. It is expected that the total amount of wagers from virtual reality will grow to over $58.5 million this year to around $520 million by 2021 said Juniper Research. Some of the big players in the industry like Facebook and Samsung are all confident that VR will take off within the general public, and this is a pretty good bet. Virtual reality totally surrounds the player whose vision and sound is immersed into the casino experience, and we can only imagine what it is going to be like when the VR kit is both high quality and inexpensive. That day is not so far away as if you take into consideration how fare mobile devices and their technology has advanced over the last few years from what we were offered in the past, then we can assume that VR will soon be affordable for the majority – hopefully. If you remember it was not that long ago that playing at an online casino was one awful experience. Games would crash halfwaythrough, and even getting started never mind placing a bet was almost impossible. Today it feels almost inconceivable to be without our mobile phones especially, and a minor disaster if we lose them as we carry out so many daily tasks using our smartphones. Using them to source popular games on casino and bingo websites carrying out our banking, browsing the internet, saving the world from imminent destruction and having a game of bingo whenever and wherever we choose has become the norm. 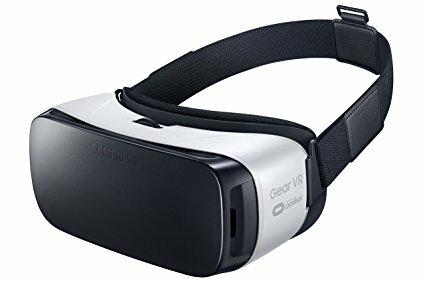 It is thought that the first Virtual Reality gamblers will probably be using smartphone based headsets like Samsung's Gear VR as well as the more expensive top-end devices like the Oculus Rift, although that requires being plugged into a high spec computer to work. Those initial players that adopt Virtual Reality will pave the way, and the rest of us are going to have to practice a little patience!